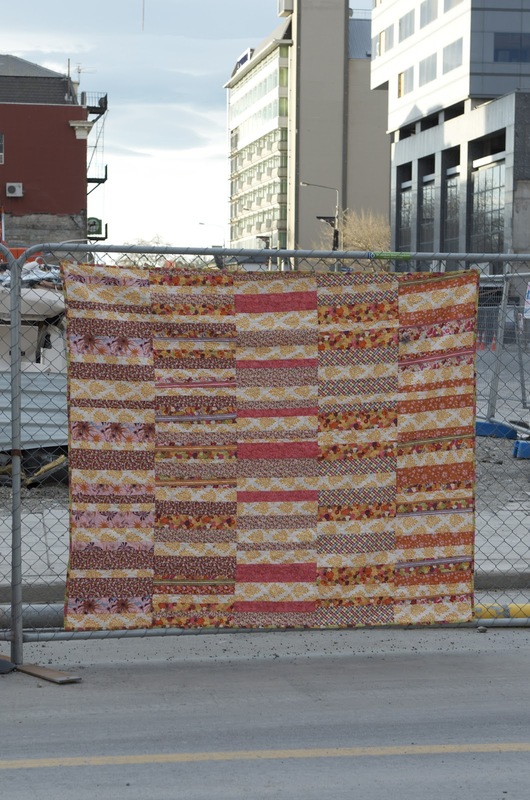 on a long fence on Gloucester Street. and brightened the grey, the grimness and the sadness. and making them has been therapy indeed. you only need a spark, but you must have some or you can't keep going. and you need to have somewhere you can feel safe. and I've kept that smile on my face and in my voice when I was dying inside. that our security is not in our stuff. In fact you can make something beautiful. I've learned that you can bloom where you are planted. That making do is not the same as making the best of things. and we discovered with time that strong foundations were not enough either. and to act with grace around those who are struggling. I've found grace and strength to carry on. Here's a picture of our Cathedral. Broken at the heart of our city. 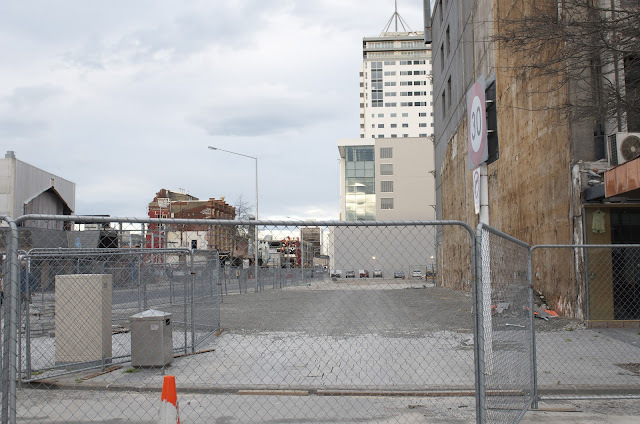 And the fences of doom that still surround it. Apparently the fences should be gone by mid next year. There will be not much left. I can't show you what it's like here. There is bare space everywhere. 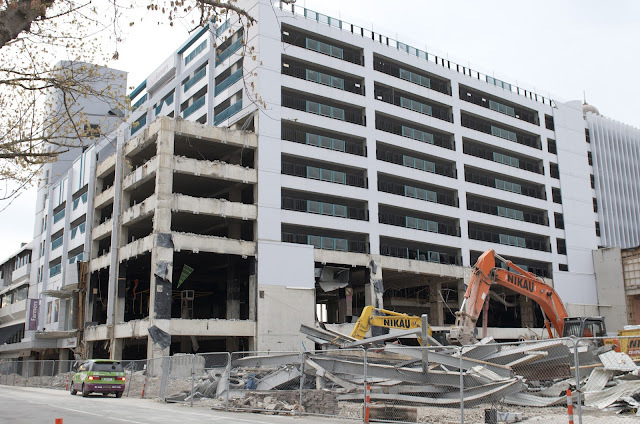 Buildings like this being torn down and crushed to powder. The sound of the demolition is relentless. 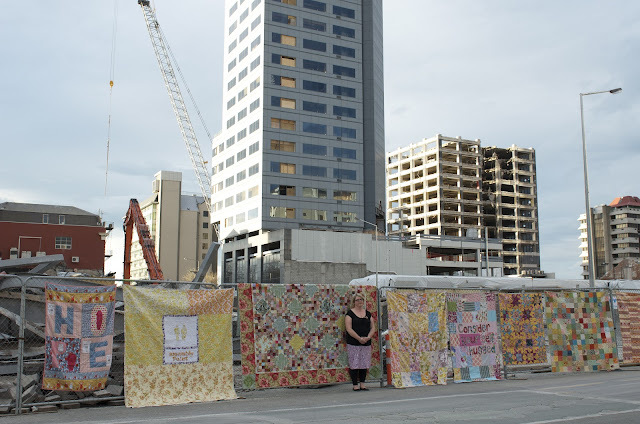 But over the last two years I have created these eight quilts. They are a visual reminder of some of the lessons that I have learned. in the last two years. We needed each and every one of them. I hope we never have to walk this path again. Deb, this is an amazing post. I love how you have told the story through your quilts and it is awesome how each represents something. 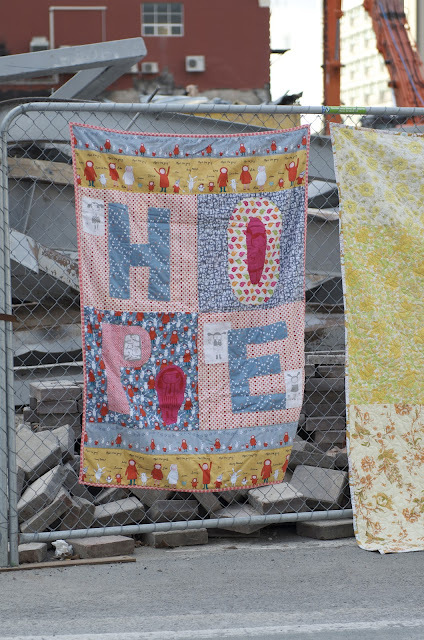 And they are really beautiful quilts. I also love how through what has obviously been a really tough time you have continued to share with us honestly and even in the darkest of times you have shown us beauty in your posts. You are an amazing woman. Stay strong. Deb , what a beautiful post. Foul I please put a link to it from my blog. We all need to read this post. That is just prefect! What a journey we have all been on. Thank you so much for sharing! 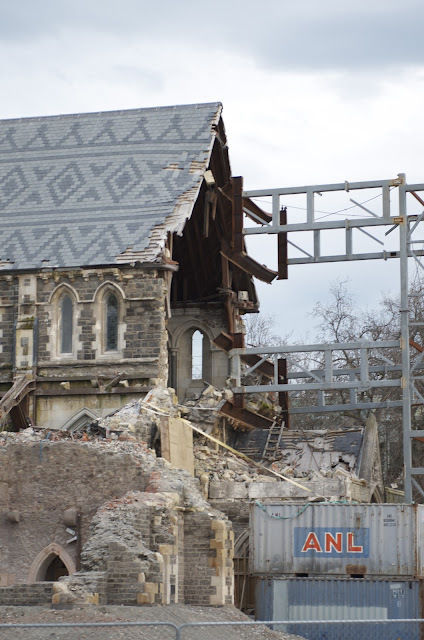 Although we haven't lived through the earthquakes of Christchurch we've had our one personal shakings! 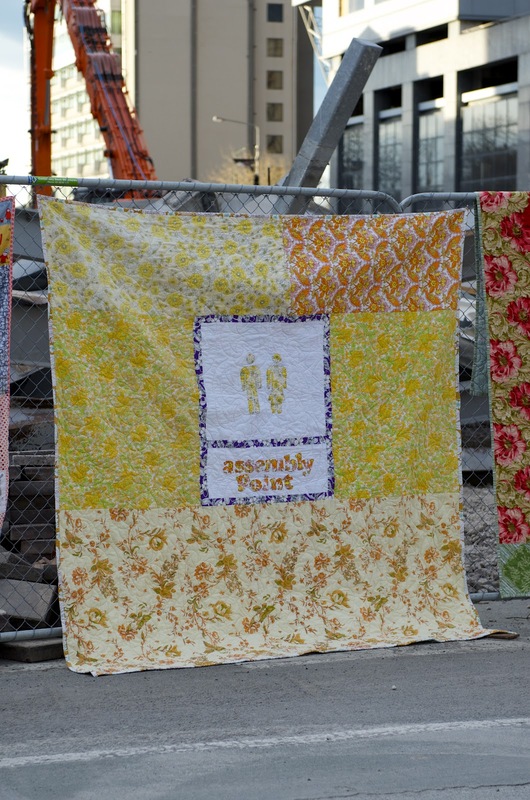 Your perspective shared through your beautiful quilts is a must for all to read. It breaks my heart seeing your IG photos, and that Christchurch is a demolition sight. I can't imagine how hard it must have been in the last 2 years. All your quilts are gorgeous too, I love that the foundation one is a little wonky, how symbolic. I hope your sewing therapy continues to get you through. Please keep sharing, as the press seem to have long forgotten. what an awesome post Deb, shows how strong the human spirit is! 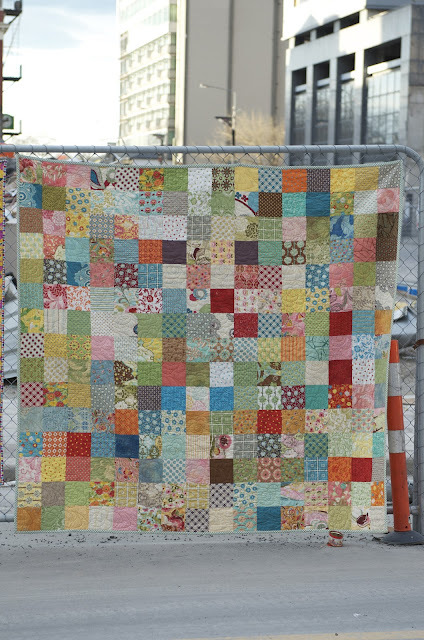 I love that you used your quilting as therapy for you! And your quilts are beautiful of course! Deb, Thank you for sharing your lovely quilts and what they taught you. I found your blog shortly after the earthquake and have followed just to keep up with the amazing, strong woman you are. Blessed be. Kiss the Hubby and the kiddos! This is a wonderful post. Have you ever thought about writing a book about your experience? What a beautiful post! Thank you! Hoping you never have to go through this again, too. Extra big hugs and love today. Everyone has said all that I could say. I have been through an emotional earthquake that threatened to rend our family apart and we have learned all those same lessons. It gladdens my heart to know that I am not alone in the pain and wisdom that these events teach us. You are wise because you learn. I hope your surroundings continue to rebuild and yes hope is EVERYTHING. Heartfelt post today, Deb, and I'm glad to see it. 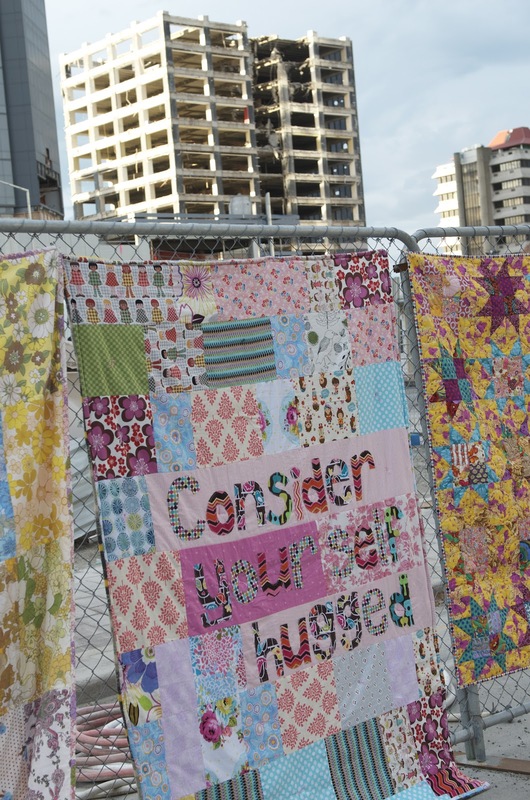 I think the act of making all those quilts is you giving your city a great big hug--saying, I can build, I can recover, I can go forward and now you can too. I remember the fences around the wreckage in Northern California after the horrible earthquakes, and all the sadness, but today I go back, many years later, and it has rebuilt itself in new ways. I find new treasures to cherish, and I send out a hug to you, that in time you will too. 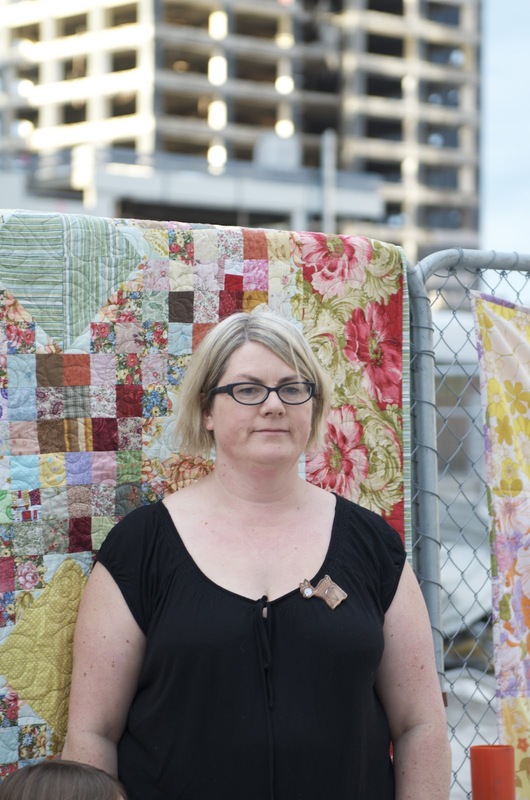 Bravo to you on those quilts! This is a stunning, and very moving post, Deb. 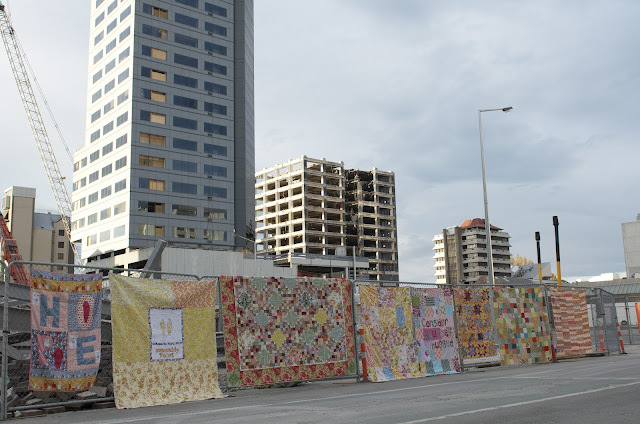 Tears in my eyes for everything the people of Christchurch have been through, and have lost. You are (all) very brave, and strong. 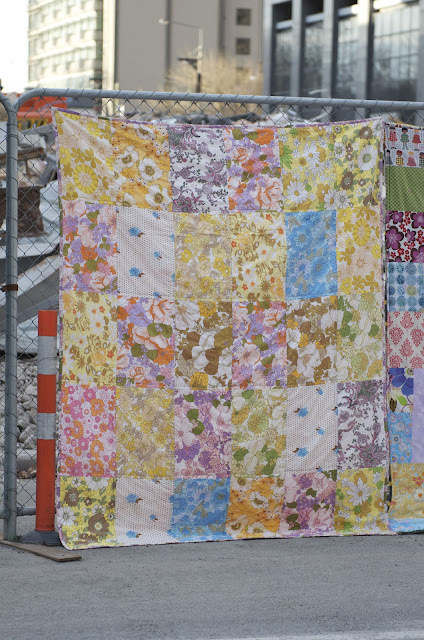 Your quilts are absolutely gorgeous. I especially love the 'assembly point' one. You are amazing! Deb, what a wonderfully moving anniversary post - even though it's an anniversary none of us want to remember. I showed your words and photos to one of my classes and there was lots of silence and lots of respectful talking and listening. 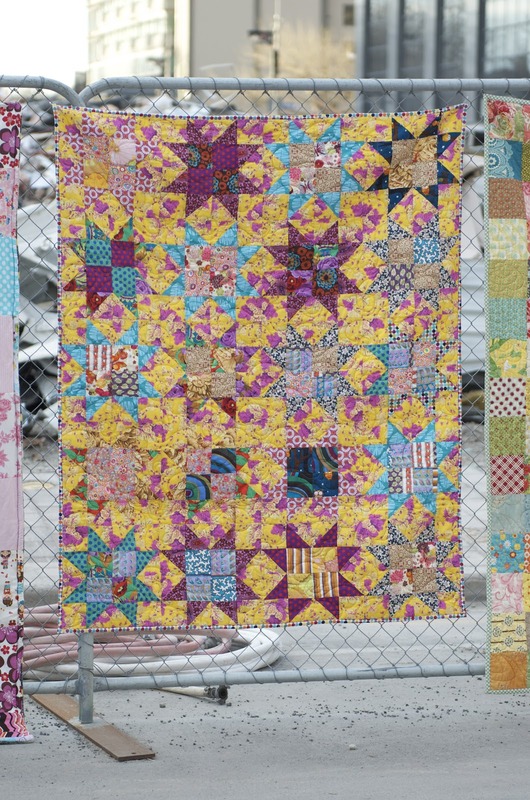 Beautiful, beautiful quilts. We've come a long way. What a wonderful way to tell your story Deb. Your quilts look such a vibrant testement to the strength of human spirit against the harsh backdrop of broken buildings. 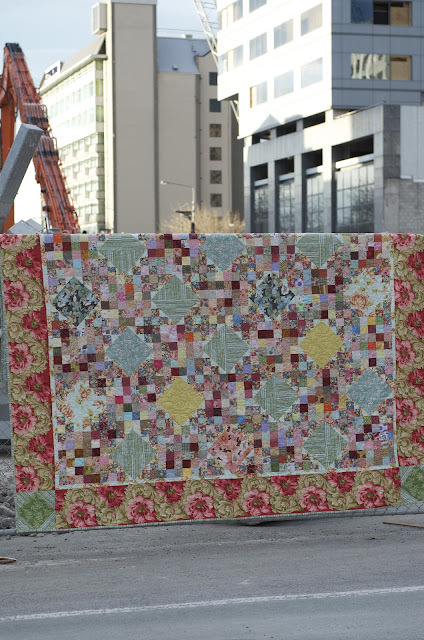 A beautiful post and the quilts are stunning. Deb I read this post with tears in my eyes. I think you are strong beyond words. And your quilts are even more beautiful thanks to the therapy they have provided for you and the stories behind them. Thank you Deb. Your quilts are an amazing contrast amidst the rubble and pain.